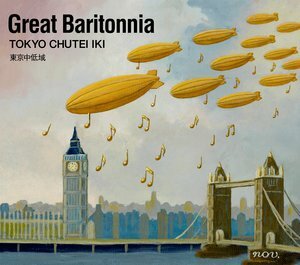 From Tokyo Chutei Iki to British and Spanish baritone saxophone players. 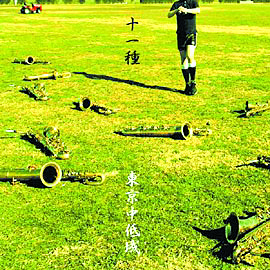 "Tokyo Chutei Iki" is formed with 12 baritone-saxophone players without any other instruments even drums and bass. We use only human voices and baritone saxophones. 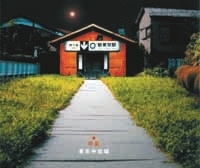 We are organized in early 2000, and we released 7 original albums and 3 DVDs in japan. Our music is very unique that cannot be classified in particular genres such as jazz, classic, rock, etc.. If you need further information, please feel free to contact me by e-mail. You will receive the reply from me. 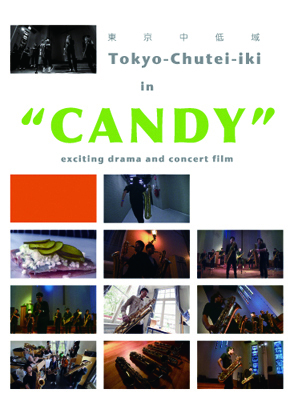 @Live act = Organizeing "Tokyo International Baritone Sax Festival 2016", CANADA Tour = "Montréal International Jazz Festival 2016", Concert at Montréal Consulat Général du Japon, Concert at Japanese Canadian Cultural Centre of Montreal, BELGIUM Tour = Concert at Japanese-school-brussels, Concert at Embassy of Japan in Belgium, Concert at Japanese Tuin in Hasselt, Concert at Point Culture ULB"
@Live act = Organizeing "Tokyo International Baritone Sax Festival 2015", "TERATOTERA Sound Fes_Tokyo"
@Live act = UK Tour = "EFG London jazz festival 2014 " (RONNIE SCOTT'S JAZZ CLUB), St John on Bethnal Green, Golders Green Parish Church, BELGIUM Tour = Citaderic Basement_Gent, Le Cafe Central_BRUSSELS, Blavo, Musical Instruments Museum_BRUSSELS, Organizeing "Tokyo International Baritone Sax Festival 2014"
@Work = sound tracks for the movie "G8"
@Live act = co-played with "Taraf du Haiduks" and "Kocani Orkester", fronted for "The Beatniks"
These items are available both at their concert venue and online store. For example…amazon, itunes, galabox, spaceshower, wrass records, tower records, foyles, HMV… etc.